Chethan Bhagat strikes again!! 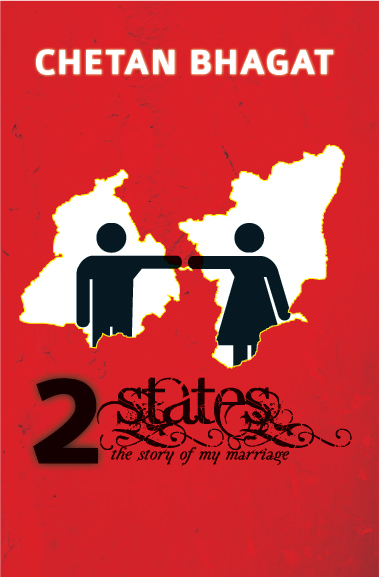 its abt his 4th novel, 2states. Grabbed it immediately wen i saw it ws already released n i wasnt aware, n then i read it in one gulp.. A power to make India read is back with fully reloaded charm. Its his spcl quality that he knits up the situations so casual that it makes the reader easy to empathise. No wonder that youth r attracted towards the ease in selection of a desi topic n addin all the charm needed to be readable til the end. Even a super dumbo story like one nyt @ cal centr has wrkd coz f its catchyness in the style that its sequences are woven. Well, lemme tell somethin abt the story line. Inspired by the author's own life,it talks to us abt the luv-lyf tumoil of an IIMA couple as they hail frm different states n'v big time setting out everything right fr their marriage. The same character has been brought again, krish of 5.someone's IIT. there is no too much twists lyk in 3mistakes f my lyf.,which makes it more-a-kinda-real. Chethan Bhagat's try f making his novel speak to ppl rather than jst make them read, has worked out again.. One can see all the characters come alive frm the novel, once one dips into it.